10/18/2018 2:40:00 PM - Education Dept. 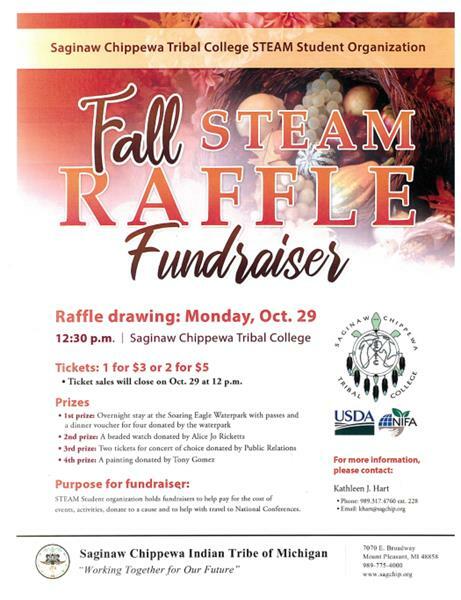 STEAM Student Organization is having their Fall STEAM Raffle. Tickets are 1 for $3.00 or 2 for $5.00. Selling tickets up until noon October 29th drawing will be at 12:30 pm. Proceeds help pay for the cost of events, activities, donations, and travel to National Conference(s).